As businesses grow, their technology needs to scale and grow along with them. But with the increasing complexity of business technology, it can be difficult to know which options fit your specific needs. That's where we come in. Businesses seeking help with business growth and technology have a lot to benefit from working with Marco for Managed IT Services. Now that you have an idea about how we help businesses map out products and services around the types of initiatives that will help them achieve their growth models and alleviate issues and pain points, let's take a look at a real customer's experience working with Marco for Managed IT Services. Orion Associates first implemented a Managed IT Services program because they knew that technology and its management would enable them to accomplish their priorities and remain efficient. 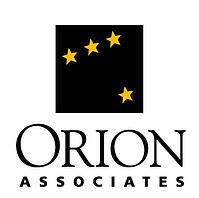 Orion Associates is a management services company with expertise in the finance and human services fields. Affiliated with a family of other social services companies - Zenith, Meridian and Orion ISO - Orion employs individuals who specialize in providing financial, program, quality assurance and training services for group homes, in-home services and the elderly. They have offices in St. Cloud and Golden Valley. For Orion Associates, taking care of people is a number one priority. So when it comes to their day-to-day IT needs, it just makes sense to outsource them to a qualified technology provider. Toni Thulen, in addition to her Chief Financial Officer responsibilities, assumed the duties of managing the company's technology needs. This is common for many organizations to start this way because it is more cost-effective to have a current employee manage these responsibilities instead of adding a full-time employee or an internal team of IT experts. As Orion Associates grew and added more computer users, Thulen needed additional assistance to keep their systems running smoothly and provide help desk support. Initially, they added an IT person to their staff to perform those functions. "Even though we had an IT person on staff, I was still very involved and found out that one person can't know and do everything," said Thulen. Realizing the need for additional support and expertise, Orion Associates turned to a Managed IT Services provider for these resources. 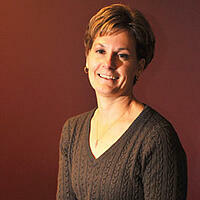 "Our IT provider supplies an array of knowledge for not much more than the cost of having an IT person on staff. Their team is collectively working on our behalf, plus their combined knowledge far exceeds the talent of just one person." It took about six months to transition all of their employees IT questions and issues to their IT providers Help Desk, instead of interrupting internal staff. "People had to be trained to rely on our Managed IT Services provider. Now, every time they call to get help, it turns out to be a positive experience. It also saves our internal employees time trying to assist others with IT issues." As there are countless types of options available that accomplish similar goals, we help businesses understand which model will best benefit them moving forward. We have a complex understanding of all the different flavors of hardware available and which ones do certain things better than others. When you work with Marco Managed IT as a strategic IT provider, we bring our expertise and experience to deliver a cloud-type solution capable of supporting the business growth you'd like to realize. If I could tell businesses facing IT-related hurdles one thing, it'd be this: you're not alone. All businesses find themselves in this type of situation at some point, and my team has the resources and the people to support and help you develop, implement and manage the right technology roadmap for you. Check out our CIO’s Guide to Managed Services to find out what would work for your business. If you are wondering how a Managed IT Services Program could benefit your business, connect with a technology advisor.